Mainly sunny. High around 65F. Winds N at 5 to 10 mph..
A mostly clear sky. Low around 45F. Winds light and variable. 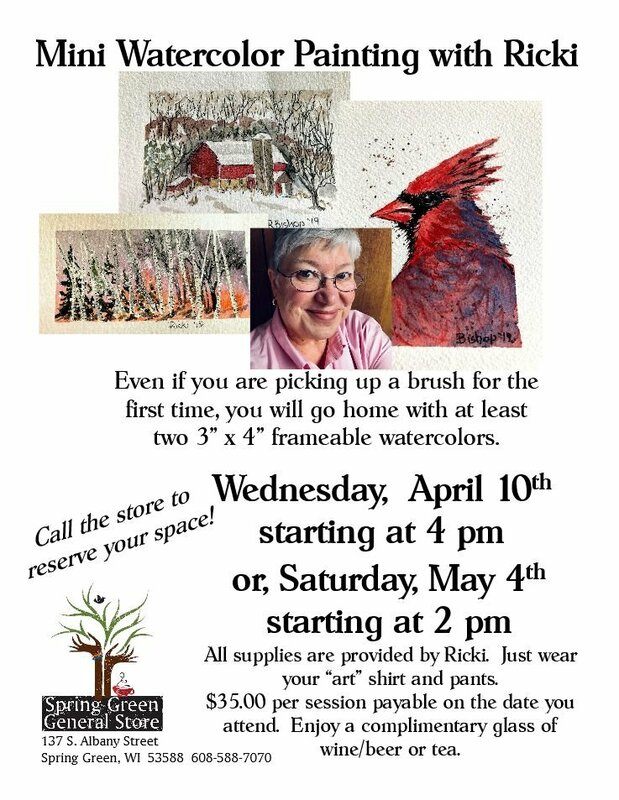 Even if you've never picked up a brush before you will leave Ricki's workshop with at least two frameable mini (3"x 4") mini watercolors. All supplies are provided by Ricki. Just wear your "art" shirt and pants. $35.00 per session payable on the day of the workshop and enjoy a complimentary glass of wine/beer or tea. Call the store (608-588-7070) to reserve your space.